Dhaka, 12 Jan, Abnews: The drop in temperature and cold wind blowing can take away the moisture and natural oils of your hair, making them dry and visibly dull. It just needs a little bit of time and care and you can easily retain the shine in your hair, say experts. Regular trims: Trimming helps you get rid of split ends during the winter season when hair ends become dry and static. Trim your hair every few weeks to get rid of rough hair. Opt for dry shampoo: Dry shampoo is best used to revive limp air by getting rid of excess oils. Dry shampoo also seals the hair natural oils and removes excess oil. A dry shampoo is very handy and makes you ready to go anywhere, anytime. Deal with dandruff: Flaky skin on the hair scalp is dandruff. Dandruff can make you feel embarrassed in the crowd, so opt for dandruff care shampoo along with hot oil treatment. Shampoo less: It may recover and retain hair moisture. Frequent shampooing washes off the protective layer of natural oils from hair. So shampooing less can help you lock the moisture level. While shampooing less, do not comb in wet hair, this will lead to breakage as they are fragile. Opt for a hair scrub: Using a hair scrub may help you exfoliate your hair. This takes away the dead skin layer that leaves your hair smooth. Then wash with water. Scrubbing takes your hair on a tour of complete relaxation and cleanliness. Opting for a hair scrub is very new, unique and effective for hair care. Conditioning: Deep conditioning is the one thing that is a must for the winter season for keeping hair lustrous and strong. Remember to condition and mask your strands with a nourishing conditioner/butter for a smooth and un-tangled stroke. Leave it on for five minutes before rinsing off with lukewarm water. 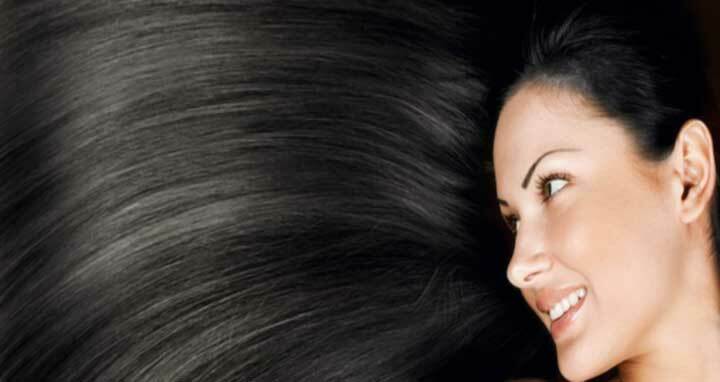 You can also opt for hair masks for a silky and smooth hair look. Also, use a broad comb and run through your hair, so that the conditioner covers the entire hair area. Brush the scalp to dislodge any flakes and dead skin cells and apply dandruff control lotion to the scalp. Massage gently for 7-10 minutes. Add an anti-dandruff shampoo in a bowl and mix with a little water. Apply the mixture to your hair with a cotton swab. Spray the hair with water and massage gently for 10 minutes. Put the hair under shower cap for another 10 minutes and rinse off. After shampoo, towel-dry the hair. Apply dandruff control conditioner on the hair strands. Leave on for two minutes and rinse.